The pop singer speaks for the first time since filing legal action against her producer. Kesha has given her first interview since she began legal proceedings against producer and Sony label boss, Dr. Luke. The pop singer spoke to the New York Times about her early career and Dr. Luke's influence over her music. She also talks about the lawsuit which is still ongoing. In February 2016 a judge in New York denied her request for an injunction on her recording contract. Elsewhere in the piece Kesha talks about her plans for new music. She has recorded a song called "Rainbow" with Ben Folds, while writer Taffy Brodesser-Akner also lists "Hunt You Down," "Rosé," and "Learn To Let It Go" as finished tracks. On October 21 a source at Kesha's label Sony told BuzzFeed that they hope to release a new record from her "soon." Kesha confirms in the Times interview that she submitted 22 songs to the label over the summer. "The New York Times Magazine profile piece that ran today unfortunately has many inaccuracies. 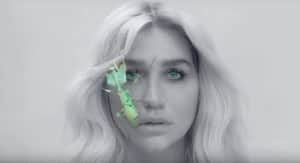 This article is part of a continuing coordinated press campaign by Kesha to mislead the public, mischaracterize what has transpired over the last two years, and gain unwarranted sympathy. Kesha filed a shock and awe complaint of alleged abuse against Luke Gottwald in 2014 -- for contract negotiation leverage. It backfired. She never intended to prove her claims. She has voluntarily withdrawn her California complaint, after having her counterclaims in New York for alleged abuse dismissed. Nevertheless, she continues to maliciously level false accusations in the press to attack our client. The reality is that for well over two years, Kesha chose—and it was entirely her choice—not to provide her label with any music. Kesha was always free to move forward with her music, and an album could have been released long ago had she done so. She exiled herself. It was not until months after the denial of her injunction motion – for the first time in June and July 2016--that Kesha started to provide the label with music. Kesha’s claim in the article that she has no ability to earn money outside of touring is completely rebutted by well documented public court records which apparently escaped the article’s attention." Read the full New York Times interview with Kesha here.